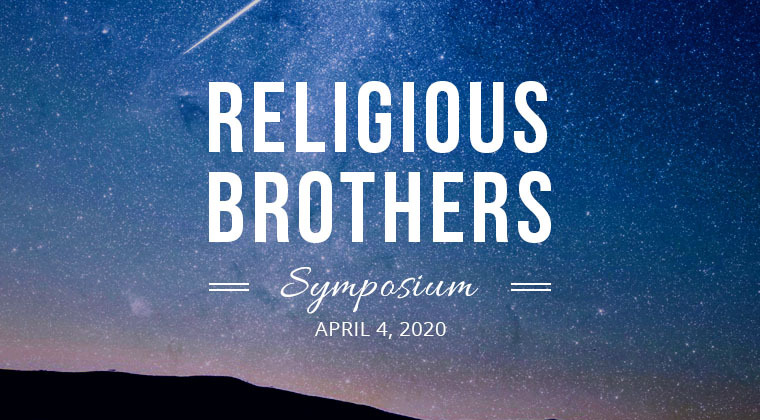 We are pleased to announce the second National Religious Brothers Symposium will be held on April 4, 2020 at Boston College. Registration will open September 1, 2019. The day will focus on the prophetic call of the brother within the Church. Bro. Guy Consolmagno, SJ, Director of the Vatican Observatory, will offer the keynote. Other addresses and programming will be announced in the near future. This program is sponsored by the Conference of Major Superiors of Men, the Religious Brothers Conference, the National Religious Vocation Conference, the Religious Formation Conference, and Boston College, in collaboration with members of the Brothers Think Tank. To sign up to receive detailed information as the event approaches, please email coo@cmsm.org. For sponsorship opportunities, please email Tom Southard at tsouthard@cmsm.org.